The 45th Lambeth Country Show will return to Brockwell Park on Saturday 20 and Sunday 21 July 2019, boasting a unique line-up that celebrates the very best of the city and countryside. With over 100,000 people attending throughout the weekend in 2018, the show is one of the biggest free family festivals in the UK. You can expect all the attractions of a traditional country show plus much more too. Horticultural shows, sheep and owl displays, home grown vegetable and flower competitions, an abundance of craft and food stalls and our very own on site farm will be there for all to enjoy. Music always plays a big part of the show too, featuring a mix of dub, Afro-beat, disco, jazz, folk, ska and soul. The Village Green stage will showcase an eclectic mix of local talent playing acoustic folk, choir, soul and pop, along with steel orchestras and samba bands. Our Main Stage hosts an array of local and international talent with funk, soul, disco and well known hits on Saturday. 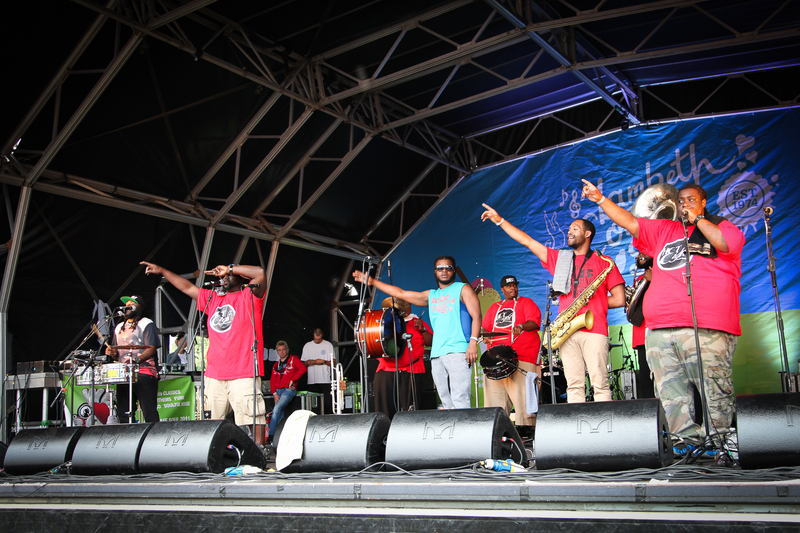 Sunday hosts Roots Day with ska, dub and reggae acts from across the globe. All of this and more with a distinctively urban south London vibe. The event is organised by EventLambeth and part funded by Lambeth Council, along with commercial sponsorship and funding. If you have any questions about the event, please visit the Frequently Asked Questions. If you still haven’t found the answer you’re after, then please get in touch.